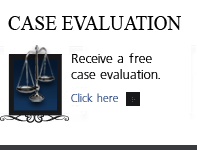 Colorado Criminal Law - Understanding An Allegation Of Stalking Behavior - The Crime Of Stalking in Colorado - Denver Criminal Attorney Specializing in Domestic Violence Cases - Colorado Criminal Defense Lawyer. Stalking is the willful, repeated harassment of another person often this involves intimate partners in a domestic violence relationship. The media frequently report incidents in which the stalker is a stranger to or co-worker of the victim, but a stalker can be charged as any person whose behavior repeatedly harasses another person. Third: Erotmania – stalker believes she/she is in love with subject (movie star example). C.R.S. § 18-3-601.The general assembly found that stalking is a serious problem in this state and nationwide. The general assembly enacted the provisions of this statute to encourage and authorize effective intervention before stalking can escalate into behavior that has even more serious consequences. C.R.S. § 18-3-602(7). – A Peace Officer SHALL have a duty to respond as soon as reasonably possible to a report of stalking and to cooperate with the alleged victim in investigating such report. There are Three Types of Stalking in Colorado Under The Law – CR.S. § 18-3-602. 1. CREDIBLE THREAT WITH REPEATED FOLLOWING. (a) Makes a credible threat to another person and, in connection with the threat, repeatedly follows, approaches, contacts, or places under surveillance that person, a member of that person’s immediate family, or someone with whom that person has or has had a continuing relationship. 2. CREDIBLE THREAT WITH REPEATED COMMUNICATION. (b) Makes a credible threat to another person and, in connection with the threat, repeatedly makes any form of communication with that person, a member of that person’s immediate family, or someone with whom that person has or has had a continuing relationship, regardless of whether a conversation ensues. (c) Repeatedly follows, approaches, contacts, places under surveillance, or makes any form of communication with another person, a member of that person’s immediate family, or someone with whom that person has or has had a continuing relationship in a manner that would cause a reasonable person to suffer serious emotional distress and does cause that person, a member of that person’s immediate family, or someone with whom that person has or has had a continuing relationship to suffer serious emotional distress. For purposes of this paragraph (c), a victim need not show that he or she received professional treatment or counseling to show that he or she suffered serious emotional distress. (a) A threat, physical action, or repeated conduct that would cause a reasonable person to be in fear for the person¡|s safety, or the safety of their immediate family, or someone with whom the person has or has had a continuing relationship with. (b) The threat need not be directly expressed if the totality of the conduct would cause a reasonable person such fear. The person’s spouse, and the person¡|s parents, grandparents, siblings or children. On more than one occasion (two or more). Relevant Statutes C.R.S. § 18-3-602(b), C.R.S. § 18-1.3-401(10), C.R.S. § 18-3-602(4).C.R.S. § 18-6-803.5. C.R.S. § 18-3-602(5)(b), C.R.S. § 18-3-602(5)(b). Commits a class 4 felony for a second or subsequent offense, if the offense occurs within seven years after the date of a prior offense for which the person was convicted. Stalking is an Extraordinary Risk Crime subject to modification of presumptive range in the C.R.S. If, at the time of the offense, there was a temporary or permanent protection order, injunction, or condition of bond, probation, or parole or any other court order in effect against the person, prohibiting the behavior described in this section, the person commits a class 4 felony. In addition, when a violation under this section is committed in connection with a violation of a court order, including but not limited to any protection order or any order that sets forth the conditions of a bond, any sentence imposed for the violation pursuant to this subsection (5) shall run consecutively and not concurrently with any sentence imposed pursuant to section 18-6-803.5 and with any sentence imposed in a contempt proceeding for violation of the court order. C.R.S. § 16-4-105. (a) Bond Considerations. Courts often set higher bonds in Stalking cases. (1)(j) Any facts indicating the possibility of violations of law if the defendant is released without restrictions. (1)(k) Any facts indicating a likelihood that there will be an intimation or harassment of possible witnesses by the defendant. Sentencing Consideration. 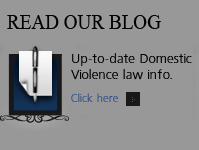 Courts should consider sentences that deter stalking behavior. Courts believe that lengthy sentences to incarceration eliminate the stalkers direct access to the victim. 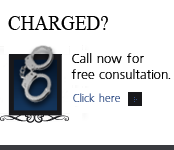 It is appropriate to make no contact provisions a condition of any sentence from probation to prison.